The past few years have seen those of us on the Alt-Right scrambling to find a raft to cling to as the West is swept by a flood of third-world immigrants lured north by socialists and globalists. Because they control the media, academia and most governments, this unholy alliance has managed to stifle every effort on our part to form a nucleus to grow our movement. Unfortunately, we’ve contributed to our own difficulties by failing to agree on what we want and when we want it. We’ve been too eager to talk shop and too reluctant to walk the walk. I believe the time for this dilly-dallying is over. We need to agree on our goals and act on our beliefs before Big Brother tries to shut us down for good. First, we need to grasp the central truth that ethnic nationalism is the larger form of family. It is an idea linked by marriages and births among a limited group of people on a particular spot on the globe. Indeed, the word “nationalism” is based on the root “native” which in turn comes from the Latin nativus, from natus, to be born. There’s no escaping it: our movement is based on births among related people, and since we celebrate our European ancestry, it’s births among Europeans, or to be blunt, among Whites. This means, if it means anything, that we’re against mass immigration and for family formation. So, looking around the political galaxy in Canada, which party can we count on to support these two basic ideas? The Liberal and Conservative parties are out because both have supported, or currently support, mass immigration. The New Democratic Party is led by a Sikh so its contribution to maintaining a White ethnicity is unlikely. Among the minor parties, Maxime Bernier’s People’s Party of Canada has called for a reduction in immigrants to 250,000. It’s a start, but hardly enough. The Christian Heritage Party is pro family and anti-abortion, but although it hints at curbing immigration, it has been unwilling to come out and actually say so. What’s left? 3. 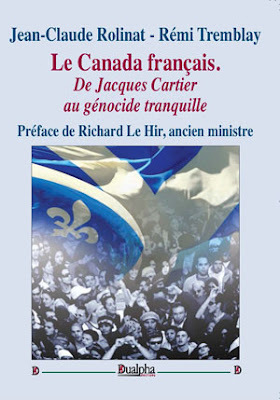 Reinstate the Immigration Act of 1952, reduce immigration to 20,000-100,000 newcomers annually, declare the entire US/Canada border an official point of entry, deport illegal immigrants and those convicted of terrorism, and require new citizens to pass an examination demonstrating their understanding of Canadian history, language, and government. 12. Newlywed couples be eligible for a marriage loan, 20% of which is forgiven with each common child. Couples must have been married within the last 5 years with both partners being citizens for at least 15 years. I might have phrased that somewhat differently, but the intent is obvious: curb immigration, promote Canadian fertility (The Immigration Act of 1952 would reimpose European preference.) That’s what we want, and the name of the party is what we believe in: a country composed of predominately White families of European heritage. I can hear the counter arguments now. But the Nationalist Party isn’t even registered yet. It’ll be branded National Socialist even though it isn’t socialist. We’ll be called fascists. We’ll split the conservative vote. Nuts to all of that. 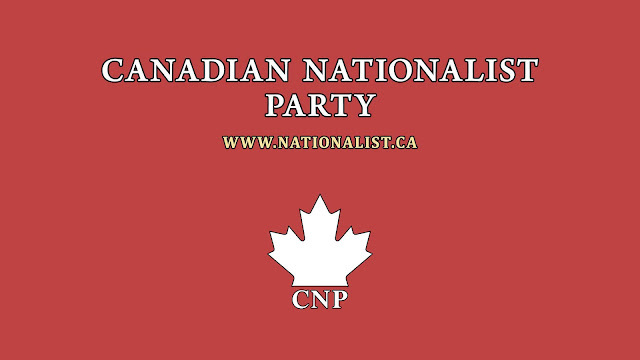 We have to start somewhere, and I believe the Canadian Nationalist Party is where to start. You can help by joining, donating funds, becoming active in the Nationalist forum and in many other ways. Now, really is, the time for all good men to come to the aid of the party.